It's been a while since I last really wrote, and I mean from the heart, approaching it as a well-loved craft. This is me rediscovering writing again, from a full year that saw me flirting with a different path. I could actually feel it, the gift slipping away as my passions shifted, pointed elsewhere. Then I spent two consecutive days with my colleagues attempting to sing videoke. It reminded me of two things: first, my father, who loved to sing, but also couldn't; second, what I am actually good at, which was definitely not singing. I already have an art: writing. I can be good at something else and still be good at that. I will write about my Jesus year one day, when everything that needs to settle does. Some of the things I want to write about -- the life lessons I dare to share, if I may -- still need to be digested and absorbed. I still have a thesis to polish, to submit. And then there's that book of love stories. 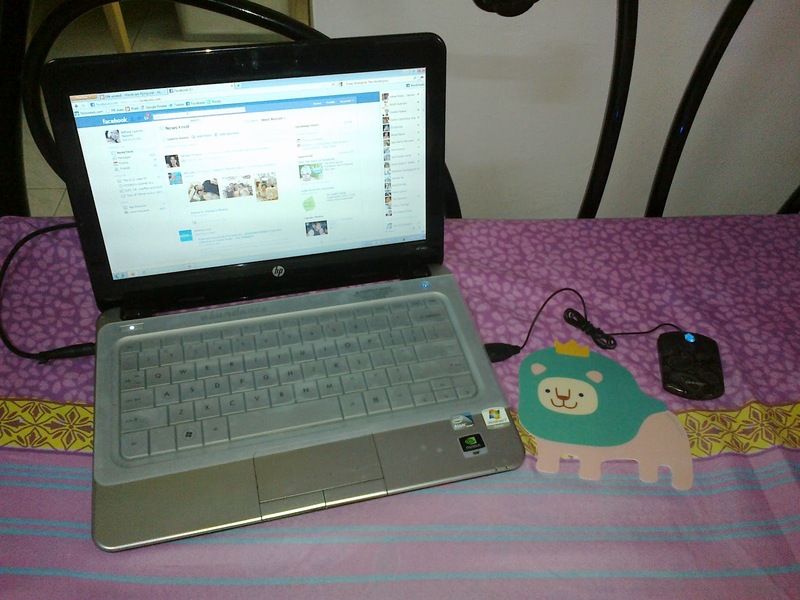 My netbook and my mouse pad.